It's been 24-48 hours since the 'deep state'-media lost their battle over Kavanaugh's SCOTUS confirmation, so it makes sense that the narrative should quickly flip to something else to throw shade on President Trump. The New York Times stepped up to the plate with a story that had everything needed for the next news cycle - a Trump campaign staff member involved in collusion with a third party that is linked to a foreign government... oh and meeting at Trump Tower. There's just one thing (well three): the 'colluding' nation is allegedly Israel (not Russia), the plans were not acted upon, and lawyers claim none of this actually happened. How can you not be intrigued? The report is simple in its claims, as Daily Caller's Chuck Ross summarizes - a former aide to the Trump campaign, requested proposals from an Israeli intelligence firm to target Hillary Clinton and to use fake online personas to influence GOP delegates toward Donald Trump. 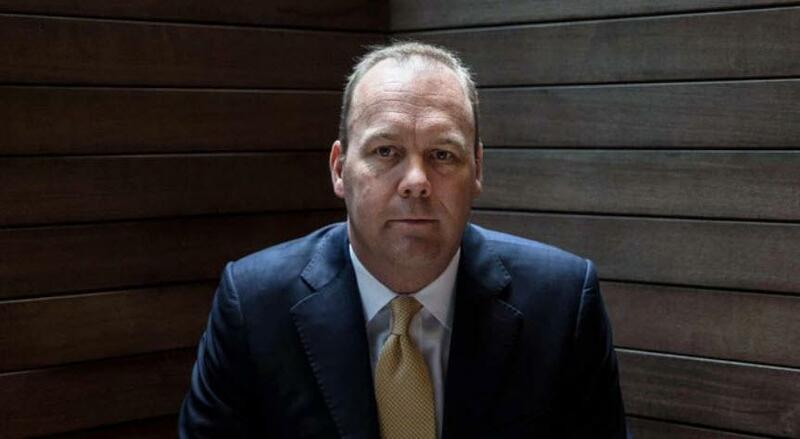 The New York Times reports that Rick Gates, the campaign’s deputy chairman, met in March 2016 with an Israeli political operative who later contacted Psy-Group, an intelligence firm operated by former Israeli spies. Mr. Gates first heard about Psy-Group’s work during a March 2016 meeting at the Mandarin Oriental hotel along the Washington waterfront with George Birnbaum, a Republican consultant with close ties to current and former Israeli government officials. “He was interested in finding the technology to achieve what they were looking for,” Mr. Birnbaum said in an interview. Through a lawyer, Mr. Gates declined to comment. A person familiar with Mr. Gates’s account of the meeting said that Mr. Birnbaum first raised the topic of hiring an outside firm to conduct the social media campaign. Mr. Birnbaum appeared to initiate the contact with Mr. Gates, asking for his email address from Eckart Sager, a political consultant who had worked with both men, to pitch Mr. Gates on a technology that could be used by Mr. Gates’s and Mr. Manafort’s clients in Eastern Europe. "It is unclear whether the Project Rome proposals describe work that would violate laws regulating foreign participation in American elections. " However, to ensure there is more intrigue, NYT reports that, although it appears that Trump campaign officials declined to accept any of the proposals, Mr. Zamel pitched the company’s services in at least general terms during a meeting on Aug. 3, 2016, at Trump Tower with Donald Trump Jr.
“Mr. Zamel never pitched, or otherwise discussed, any of Psy-Group’s proposals relating to the U.S. elections with anyone related to the Trump campaign, including not with Donald Trump Jr., except for outlining the capabilities of some of his companies in general terms."